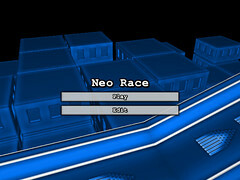 This is a new build of Neo Race (one of the first few games I made for PS3) for Windows. A lot has been rewritten but nothing much has been changed. It will most likely finally be getting a Wii port sometime soon. I might even begin updating it again for PS3 but that’s less likely. Yeah I know those controls are totally random. A lot will be changed the next time I update it. Just a moment ago I finally got a homebrew game of mine to actually work on Geohots patched 3.55 firmware! I have no idea why its working (I did everything exactly the same as I have tried with That Other Space Shooter which I’m still having problems with) but whats important is that it does work. 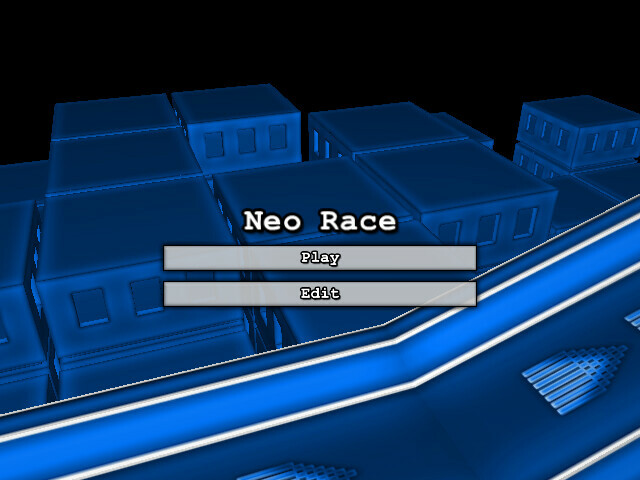 So here is Neo Race v0.2 for PS3. There have been no changes to the game since the last time I posted it back in December. Its just been signed and repackaged. I put together an updated version of Neo Race. It doesn’t have everything I wanted to get into it but I probably wont be working on PS3 stuff much until next month so I figured I would just post what I have done now. There is some simple lighting now. You move a little faster. Some changes to the controls (the sixaxis steering has been left unchanged) have been made and there have been some other little things changed. There was going to be some old style full screen motion blur and zoom tied to your speed but it turned out being unusable slow on PS3 (which is odd considering how well it worked on my antiquated PC). More importantly though I’ve added a track editor. Its far from done but it is incredibly easy to use so you can put together tracks very quickly and you can save whatever you make. You can only have one saved track at a time (there is no race track selection screen yet) but you can exit out of the editor and then play what you where working on without needing to save so you can play around with it without overwriting whatever you have saved. If you want to get your saved track from of your PS3 (using a file manager or FTP client) and store it elsewhere or share it it’s the “track.txt” file located at “/dev_hdd0/game/NEOR66666/USRDIR/”. I would love to see anything you make. I would really like to know what everyone would like to see done with the track editor. Are there any kinds of freely place able objects that you would like to have? Would you like to be able to control the width of the track? Do you like the way that each checkpoint in the track is automatically rotated (which makes it a lot less time consuming to lay out the track and have nice turns) or would you prefer to have control over their rotation? How do you feel about the buildings? Any input would be appreciated. This is an early build of a racing game with sixaxis controls. Just tilt your PS3 controller left and right to turn and hold X to accelerate. It has a similar art style (because its incredibly quick and easy to make art assets that looks like this by comparison to making something pseudo photo realistic) as Neo Tanks but they are otherwise completely unrelated. At the moment all you can do is go around the track and possibly drive off it and onto the buildings bellow. But there will eventually be actual racing, split screen multiplayer and (here comes what I consider the mildly cool part which will still be totally unimpressive by comparison to ModNation Racer but is kinda nice next to Track Mania) an in game track editor which will NOT be limited to a grid. I know I start too many side projects but I’m not abandoning anything. I’ve been doing a good job of going back and improving on Cubicle Shooter and I do intend to do the same with this and everything else. In fact the next thing I’m planning to work on is fixing up Dont Get Crushed. Oh and does anyone know what the deal is with fog in PSGL? It works fine on PC but on PS3 it just turns the entire screen completely black and ruins the frame rate.